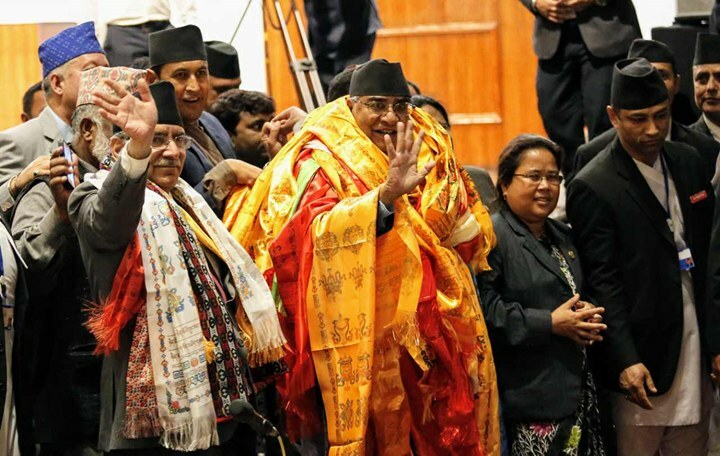 KATHMANDU, June 6: Nepali Congress President Sher Bahadur Deuba has been elected as the 40th prime minister of Nepal. Lone candidate for the post of Prime Minister, Deuba secured 388 votes out of 593 votes in the parliament. A total of 170 lawmakers voted against him. Deuba's own party Nepali Congress, CPN (Maoist Center), Rastriya Prajatantra Party, Federal Socialist Forum Nepal, Rastriya Janata Party, and Forum Loktantrik voted for Deuba while CPN-UML, Nepal Workers and Peasants Party (4), Rastriya Janamorcha (3) and Nepal Pariwar Dal voted against Deuba. A total of 297 votes are required to elect the new prime minister. Speaker Onsari Gharti floated Deuba’s candidacy in the parliament to elect him as the new prime minister of Nepal in line with the Article No 298 (3) of the Constitution and the Parliament Regulations 2073's chapter-9. Outgoing Prime Minister Pushpa Kamal proposed Deuba as the new prime minister of Nepal which was seconded by NC leader Ram Chandra Paudel. 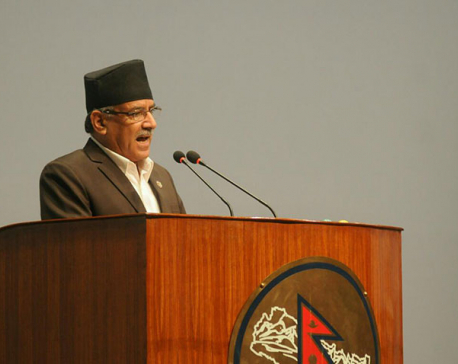 The election for the new PM had begun after the Prime Minister Pushpa Kamal Dahal resigned from the post on May 24. With the approval of the PM'S resignation, President had called political parties to form consensus government providing seven days for the same. 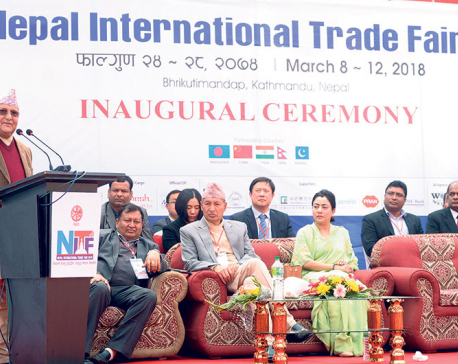 President Bhandari had called the parties to elect the PM on the majority basis after parties failed to forge consensus within the given deadline. 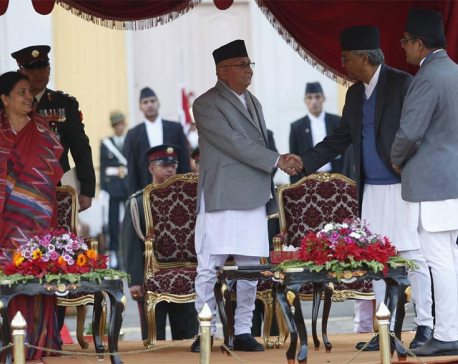 Deuba has served as the prime minister of Nepal for three times before. Born on June 13, 1946, Deuba was the Prime Minister of Nepal from 1995 to 1997, from 2001 to 2002, and from 2004 to 2005. He is the president of the Nepali Congress elected with more than 60% votes in NC convention held in 2016. Deuba, originally from Asigram - 3, Dadeldhura, had become the Parliamentary Leader of Nepali Congress in 1994 following street protests against the UML government led by Man Mohan Adhikari. In the election held to select the Parliamentary Leader for Nepali Congress following the resignation of G. P. Koirala, in 2001, he had defeated Sushil Koirala by a huge margin. Deuba is married to Dr. Arzu Rana Deuba and has a son, Jaiveer Singh Deuba.